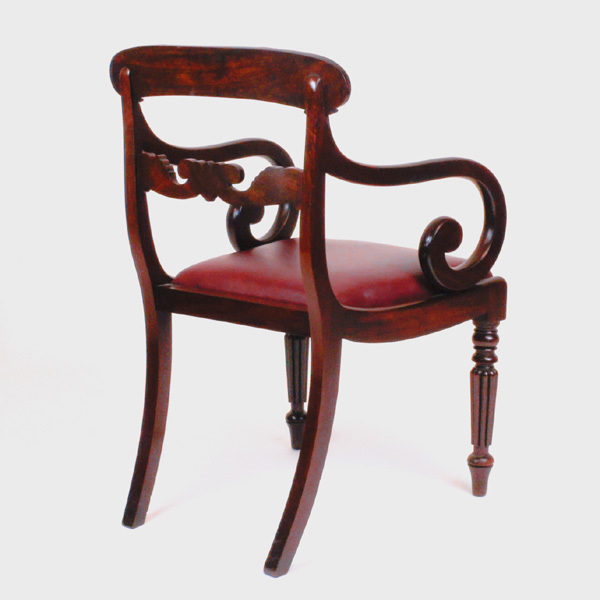 A very good quality antique William 1V mahogany open arm-chair made from beautifully figured timbers. ​and waxed polished and the padded seat upholstered in a chestnut hide. 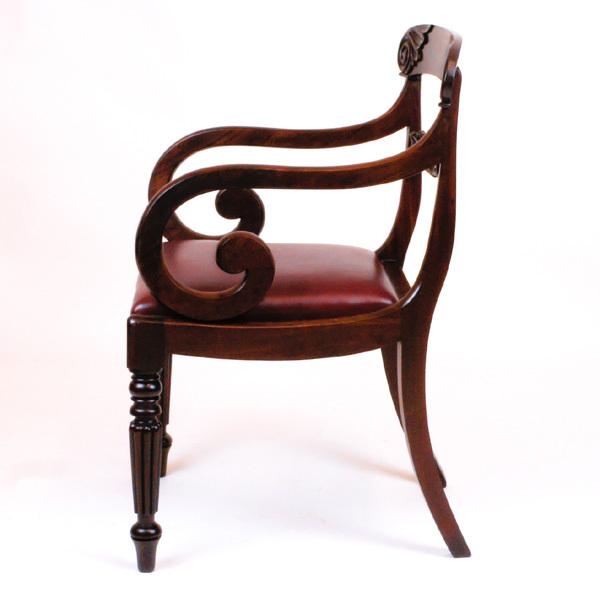 The chair is well proportioned with a curved back with leaf and scroll carved edges, a carved central back support and deep scrolling arms. and waxed polished and the padded seat upholstered in a chestnut hide. 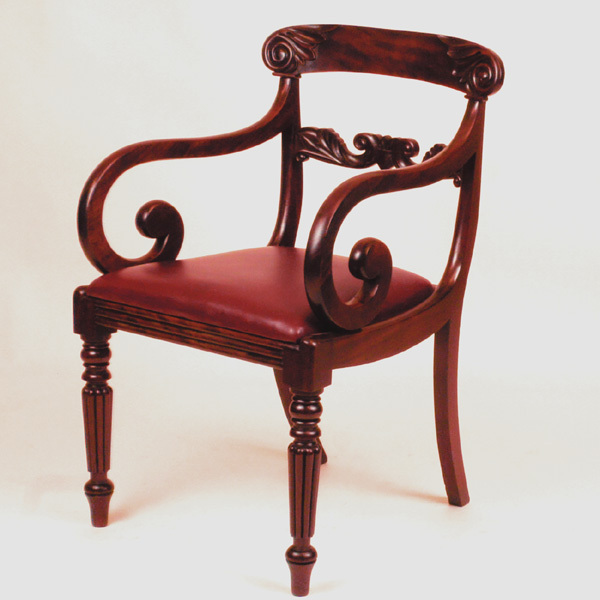 The chair is well proportioned with a curved back with leaf and scroll carved edges, a carved central back support and deep scrolling arms. 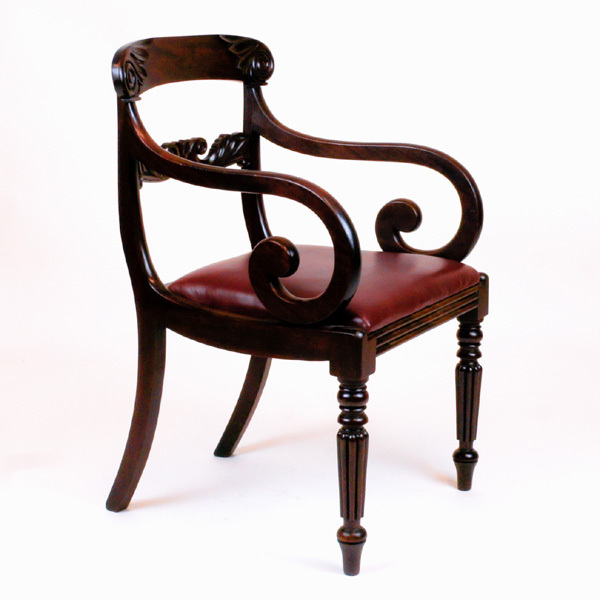 The front legs are beautifully turned and reeded and the rear legs are elegantly swept back. 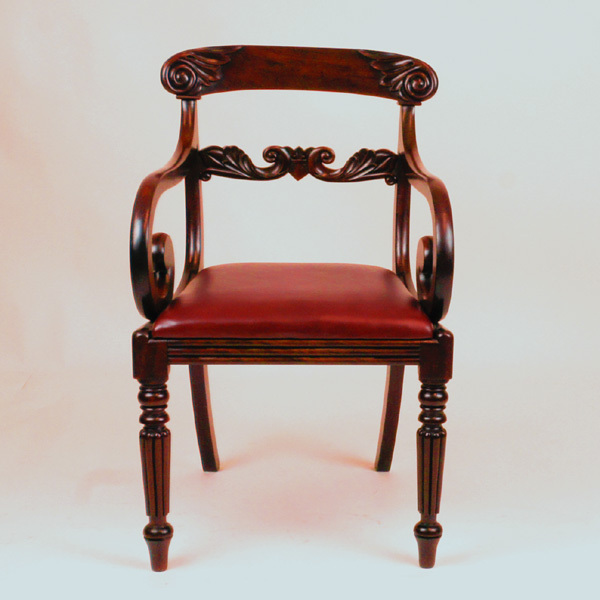 This is a beautiful and very well made antique open armchair is very solidly constructed and elegantly designed. 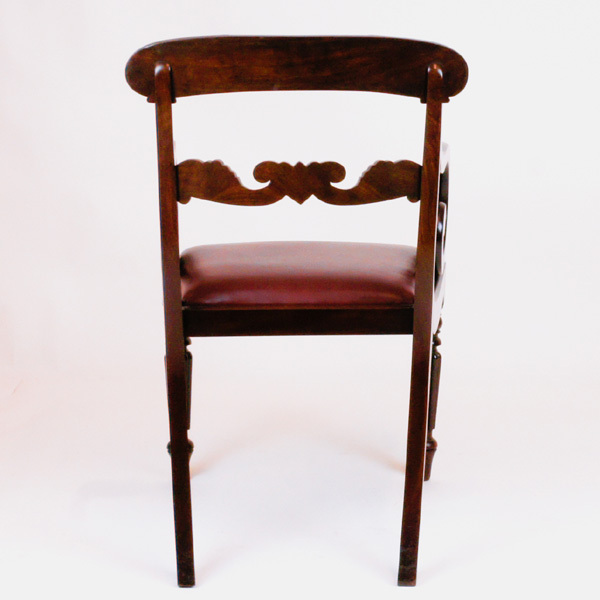 It would made a very suitable partner for an antique desk or antique library or writing table. Alternatively it would lovely just as an occasional chair in any room.